quarter of 2019, while the Alcatel 1c will hit stores in Asia, Africa, Europe, Middle East and Latin America in the same time frame. The Alcatel 1x (2019) price has been set at $120 (around Rs. 8,500), and it will be available in Pebble Blue and Pebble Black colour variants, the company announced at CES 2019. 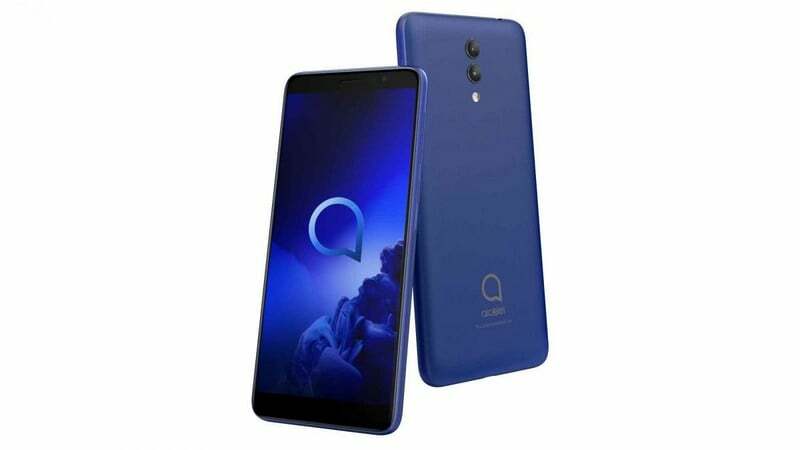 The Alcatel 1c (2019) price has been set at $70 (roughly Rs. 5,000), and it will be available in Enamel Blue and Volcano Black colour variants. In the imaging department, the Alcatel 1x (2019) pack a dual rear camera set-up consisting of a 13-megapixel (f/2.0) primary sensor and a 2-megapixel (f/2.4) secondary sensor with support for features such as bokeh shots, refocus, panorama, and EIS for video stabilisation. On the front is a 5-megapixel (f/2.4) camera accompanied by a selfie flash which also facilitates face unlock. There is a rear-mounted fingerprint sensor for authentication - the company also plans to launch another version of the Alcatel 1x (2019) that will miss out on the fingerprint sensor. The smartphone sports 16GB of inbuilt storage that can be expanded via microSD card (up to 128GB). It is equipped with a 3,000mAh battery, rated to deliver up to 420 hours of standby time on 4G networks. 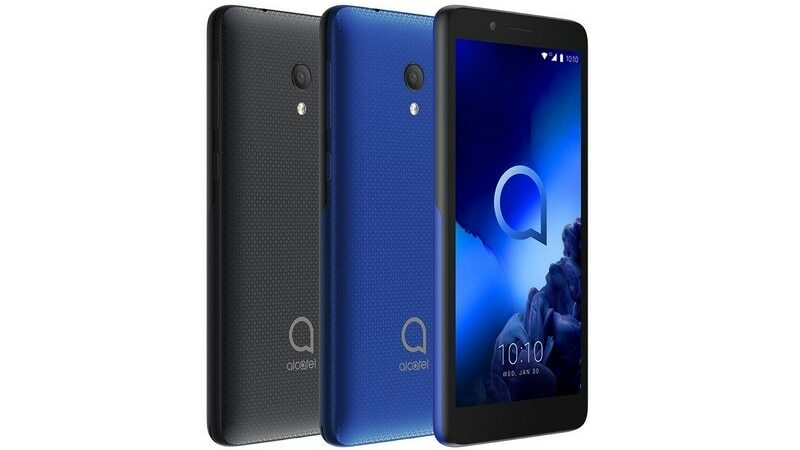 The Alcatel 1x (2019) offers 4G VoLTE, Wi-Fi 802.11 b/g/n, VoWiFi, Bluetooth v4.2, GPS/ A-GPS, NFC, Micro-USB, FM radio, and a 3.5mm audio jack for connectivity options. Sensors on board include an accelerometer, ambient light sensor, and proximity sensor. It measures 146.35x68.8x8.3mm and weighs 130 grams. The dual-SIM (Nano) Alcatel 1c (2019) runs Android 8.1 Oreo (Go edition) and features a 5.3-inch qHD+ (480x960 pixels) FullView display with an 18:9 aspect ratio and 2.5D Dragontrail glass for protection. The affordable smartphone is powered by a quad-core Spreadtrum SC7731E SoC coupled with 1GB of RAM. is equipped with a 2,000mAh battery, rated to deliver up to 28 hours of standby time on 3G networks. The Alcatel 1x (2019) offers 3G, Wi-Fi 802.11 b/g/n, Bluetooth v4.2, GPS/ A-GPS, Micro-USB, FM radio, and a 3.5mm audio jack for connectivity options. Sensors on board include an accelerometer and a proximity sensor (via software). It measures 136.6x65.3x9.95mm and weighs 148 grams.